St. James belonged to the group of Jesus' closest disciples and was one of the first martyrs of the Catholic Church to shed his blood and die for the cause of Jesus Christ. After the death of Christ, James (Santiago in Spanish) started to convert believers in Hispania, more specifically the Northwest region, at that time known as Gallaecia. After recruiting seven apostolic men, who received the mission to evangelize in Hispania, the apostle James returned to Jerusalem to accompany the Virgin on his deathbed. There he was tortured and beheaded in the year 42 A.D. by the order of Herod Agrippa I, the King of Judea. The aforementioned seven disciples, according to legend, moved the body of St. James by boat to Galicia, escaping under the cover of night, arriving through the Port of Iria Flavia (now known as Padrón). They deposited the body of their master on a rock which closed around his body, forming a holy sarcophagus. It was not until eight centuries later, in 813 A.D. that his decapited body was found. Beside him, a sign read, ”Here lies James, son of Zebedee and Salome”. The religious man that found his body, by divine revelation, attributed the skeletal remains to St. James and reported the discovery to the king of the Galician-Asturian kingdom, Alfonso II, El Casto who, after visiting the place, appointed the Apostle James patron saint of the kingdom and built a church in his honour. The news soon spread throughout Europe about the existence of the Holy Galician Sepulchre and the Apostle James (Santiago) became the symbol of the Spanish Reconquista. The King of Asturias was the first of many pilgrims who came to Compostela, using what today is known as Camino Primitivo, the original route. The Codex Calixtinus, is a XII-century manuscript jewel, considered the first and most famous guide of “El Camino de Santiago” . 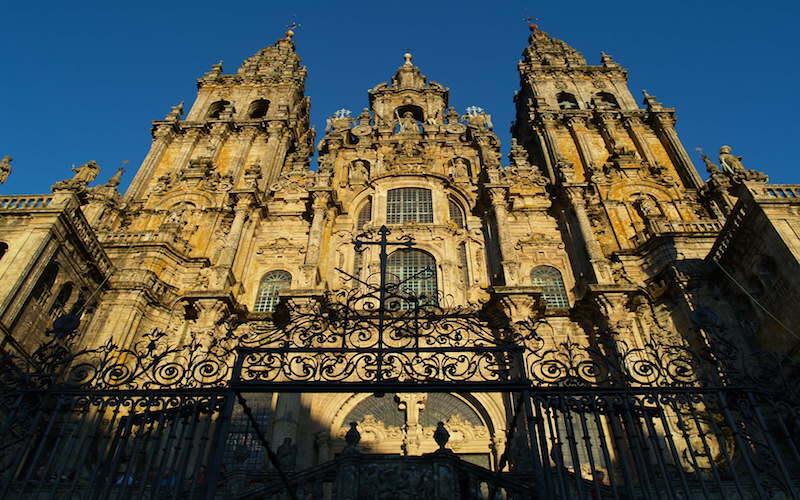 It was kept in the Cathedral of Santiago until 2011, when it was stolen by a former employee, who kept it hidden until the police found it 12 months later. It consists of sermons, hymns, miracles, liturgical texts, musicals pieces and stories about the Apostle Santiago and the Pilgrim Route. The authenticity of the remains of the Apostle Santiago has generated more than a few heated debates and meticulous research. The unlikely transfer, due to the difficulty it would have entailed, of the body of this disciple of Christ to Galician soil, is just one of the many gaps in a story that is interwoven with historical accuracy and magical legend. But, nonetheless, it is part of what makes The Camino the experience of a lifetime.